The magnificence of Europe is best seen and experienced along its massive river network. This outstanding river cruise begins in Prague and continues through the heart of Europe to Budapest. It is a veritable feast of culture, history and riches. Historically, people lived close to the rivers in Europe as they were the principal routes of commerce and trade. We wind our way along the beautiful Danube, where music and romance are alive at every turn, passing fabled castles and cathedrals and visiting centuries old marketplaces. 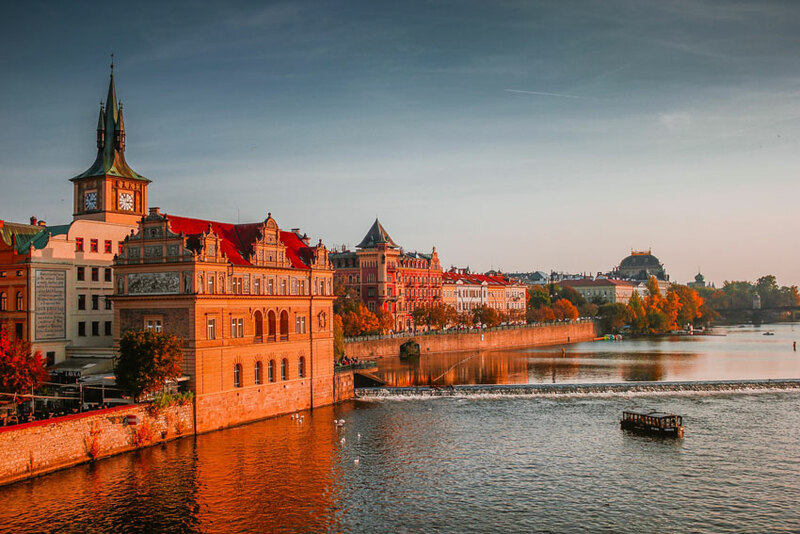 We journey through the Czech Republic, Germany, Austria, Slovakia and Hungary in style, combining spectacular scenery with cultural enrichment while ensuring that all our creature comforts are met. Planned with the best of river cruising lifestyle in mind, we move at a leisurely pace with most nights spent in port ensuring restful nights complimented by days filled with scenic cruising and joyous touring. Virtually everything is included: most meals, all tips, all taxes, all gratuities, even most of your shore excursions, leaving you free to enjoy every minute of your cruise holiday. Tour members from across Canada fly to Prague. On arrival in Prague, we are transferred to our hotel. The balance of the day is free to start exploring this beautiful city. This evening we gather for dinner. This morning’s sightseeing tour reveals why Prague is considered one of Europe’s most attractive cities, with its historic city centre recognized as a UNESCO World Heritage Site. 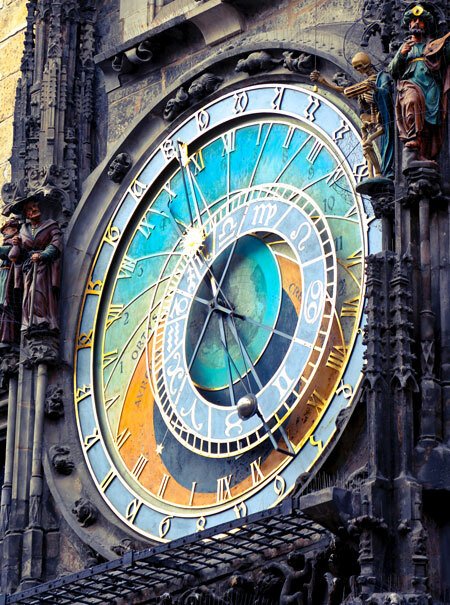 Enjoy a panoramic tour of the city before visiting the 1,000-year-old Prague Castle and St. Vitus Cathedral. Afterwards, we will walk over Charles Bridge to the Old Town Square. This evening, we will enjoy a Folklore Dinner Show to learn about Czech music, dance and traditions. Spend a day at your leisure or take an optional tour to Terezín, the infamous Nazi WWII concentration camp, now a memorial to all those who perished. This morning, depart Prague and stop in Regensburg for a guided walking tour of one of Germany’s best preserved medieval cities. Discover its old town which is a UNESCO World Heritage Site. After lunch on our own, continue to the charming 1,200-year-old Bavarian town of Vilshofen, where we will embark our luxurious ship. This evening, enjoy a festive Welcome Dinner aboard the ship. This morning you are free to explore Vilshofen’s beautiful old town before we cruise to Passau. This afternoon enjoy a walking tour through this 2,000-year-old fairy tale city noted for its Gothic and Italian Baroque architecture. Walk the cobblestone streets of the Old Town where you shall see the city fortifications and St. Stephen’s Cathedral, which is home to the largest cathedral organ in the world. This morning the ship arrives in Linz, the second largest city in Austria. Your walking tour guides you along the Landstrasse to the city’s Main Square where you shall see the city’s landmarks as well as the Mozart House. This afternoon you have the choice of three different excursions. The first option is a visit to the scenic ‘Salzkammergut’ region, the Austrian Lake District. 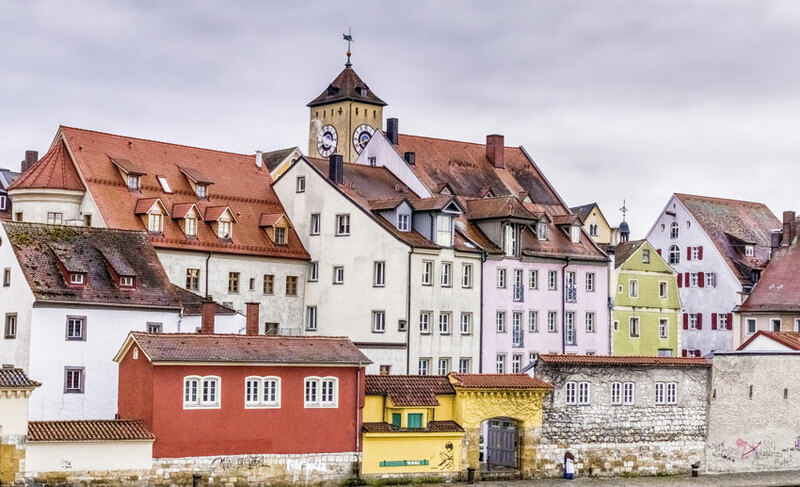 The second option is to join an excursion to the Czech town of Cesky Krumlov. This is a wonderfully preserved medieval town, nestled in the hills just over the Austrian-Czech border. 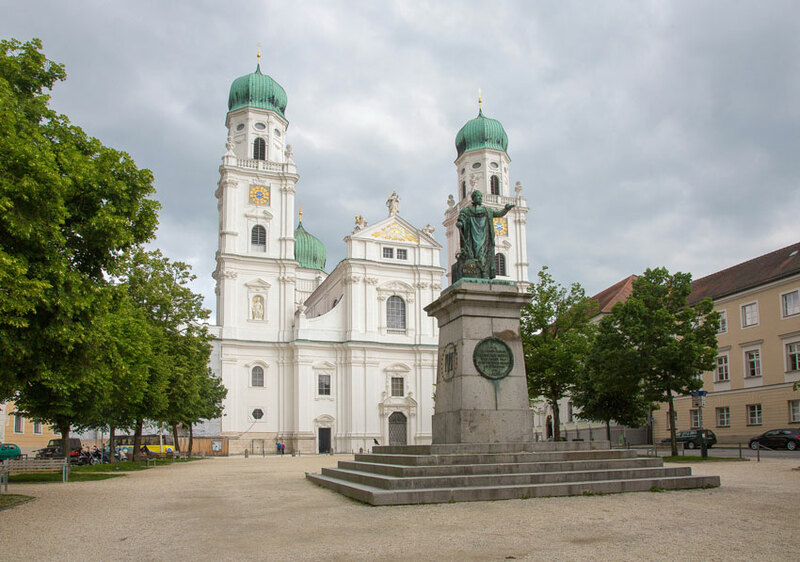 The third choice is an excursion to Salzburg, where you will take a walking tour of the historic centre, famous as the setting for The Sound of Music and as the birthplace of Mozart. This morning we cruise through the narrow Strudengau to Weissenkirchen. From here, you will take a walking tour of the beautiful town of Dürnstein wandering the town’s medieval cobblestone streets, passing by 16th-century town houses and wine taverns. Marvel at the magnificent blue facade of the Baroque Stiftskirche. 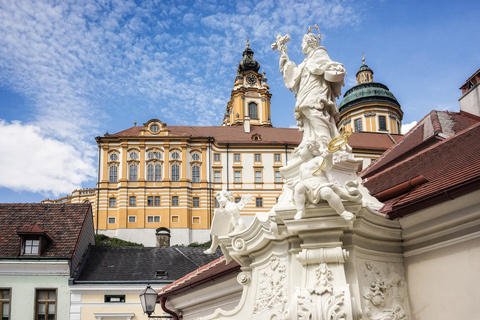 Afterwards, visit Melk’s magnificent Benedictine Abbey, one of Europe’s largest Baroque monasteries. Alternatively, you may want to visit a local apricot grower to savour the region’s finest apricot treats. Tonight, after dinner on board, we will enjoy some wine tasting at a local winery. During our morning city tour of Vienna, you will see the impressive Vienna Opera House, the majestic Ringstrasse, and the historic St. Stephen’s Cathedral. This afternoon we are free to stroll through the historic city centre, a UNESCO World Heritage Site. This morning, enjoy a scenic cruise to Bratislava, where you can choose from a walking tour which should include the Old Town Hall, Mirbach Palace and the gothic St. Martin’s Cathedral. Alternatively, you can take a foodie tour to enjoy some Slovakian Specialities and learn how to prepare stuffed potato ravioli. The remainder of the day is free for you to explore on your own. 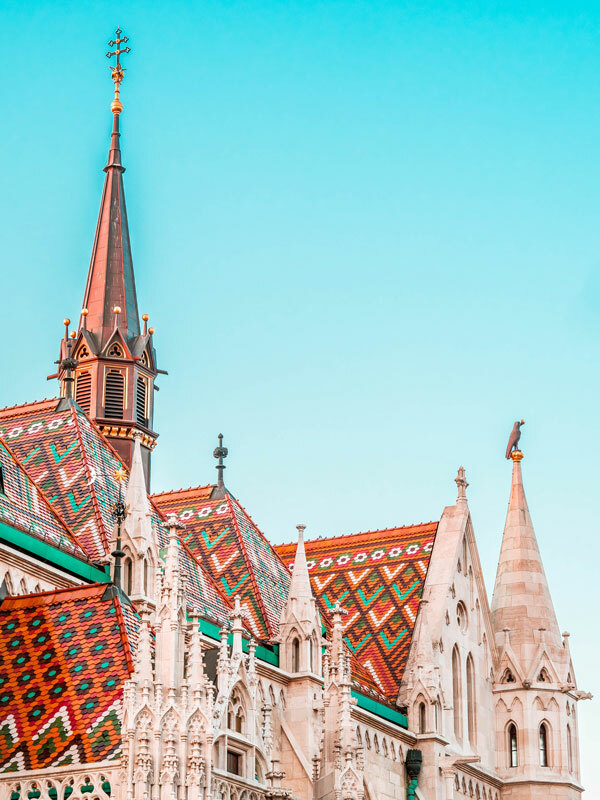 This morning, enjoy a visit of the Hungarian capital as you wander the alleys of the vibrant Great Market Hall brimming with vendors that sell everything from food to souvenirs. We will also explore the twin cities of Buda and Pest, which are spread over both banks of the Danube River. After dinner, our ship will sail a special ‘Illuminations Cruise’ along the illuminated river front of Budapest. Our journey comes to an end as we disembark and transfer to the airport to catch our flights bound for our homes across Canada. The ms AmaLea, set to debut in 2018, is a sister ship to the ms AmaViola and features the most advanced design of any river cruise vessel currently in operation. Exclusive twin balconies are available in most staterooms, which measure a spacious 210-235 sq. feet, with four suites measuring 350 sq. feet. All staterooms have exclusive Infotainment system, including complimentary internet access, first run Hollywood movies and music library, plus flat-screen televisions with local and satellite channels, complimentary bottled water replenished daily, and individually controlled air-conditioning. Enjoy gourmet dining with unlimited fine wines at multiple onboard dining venues. The ms AmaLea offers an array of dining options for your culinary enjoyment. Enjoy Chaîne des Rôtisseurs culinary creations in the main dining room or in the Chef's Table restaurant with its own private chef. On select days, enjoy a lunch outdoors on the Sun Deck. Take a plunge into the heated sun deck swimming pool with a ‘swim-up’ bar; fitness centre and spa; complimentary ship-wide Wi-Fi and a fleet of bicycles carried onboard for those who wish to enjoy on their own or on guided bike tours. *Categories BB up through Suite have multiple balconies. Stateroom categories are subject to availability at time of booking. Book early for best choice. See Deck Plan for full details on various categories available. Singles are extremely limited. Please ask for rates. Cruise price is based on sharing a twin-bedded stateroom with private bathroom. Prices are based on a minimum 20 members and on rates, taxes, and fees effective February 2018 and are subject to change due to factors beyond our control. Rates are per person based on sharing a Cat E Outside Twin on Piano Deck. Prices DO NOT INCLUDE the cost of insurance which is available and is highly recommended. Premiums vary with the cost, length of the trip, and the traveller’s age. For passengers up to and including 74 years on departure date, premiums will range from $280 to $486 pp plus applicable taxes. Cost supplements for travellers aged 75-85 will range from $186 to $404 pp plus applicable taxes. This insurance is effective from the date of purchase and carries limitations on pre-existing medical conditions. Please discuss your insurance coverage prior to booking. Check our website for the most current information. Refer to our Terms and Conditions for more information.